The survivors of Titanic arrive in New York City on a rainy April morning, but being back on dry land doesn't end the terror, and for some of the passengers, the nightmares are just beginning. Having escaped her haunting past in Southampton, Meg Westmoreland knows she should be excited to start her new life in New York City as millionaire Charlie Ashton's fiancée. However, Titanic has scarred both of them, and part of her wants to escape into the night, to start her new life all over again. 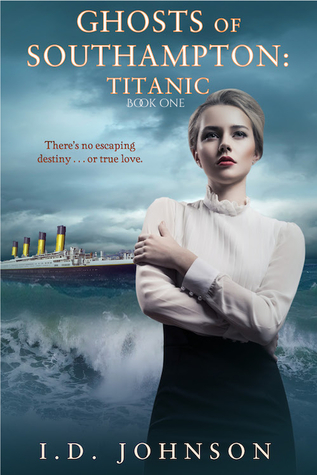 Meg knows she must find the strength to help Charlie recover from Titanic and face the demons of her past, which includes going back to Southampton to face her mother and uncle. Will she stay by Charlie's side or look for another way to dissolve their arranged marriage? The voices in Charlie's head are ever-present, and after a while, he begins to think he's losing his mind. How can he give his new fiancee the attention she deserves when thoughts of Titanic are constantly replaying? Will he end up losing Meg all over again? Residuum is the final installment in the Ghosts of Southampton series, following Meg and Charlie as they attempt to return to their lives after the Titanic disaster. ID Johnson wears many hats: mother, wife, editor, tutu maker, and writer, to name a few. Some of her favorite people are the two little girls who often implore that she "watch me!" in the middle of forming finely crafted sentences, that guy who dozes off well before she closes her laptop, and those furry critters at the foot of the bed at night. If she could do anything in the world, she would live in Cinderella's castle and write love stories all day while sipping Dr. Pepper and eating calorie-less Hershey's kisses. For now, she'll stick to her Dallas-area home and spending her days with the characters she's grown to love. After 16 years in education, Johnson has embarked on a new career, one as a full-time writer. This will allow her to write at least one book per month, which means many of your favorite character will have new tales to tell in the upcoming months. Look for two spin-off series of The Clandestine Saga, one staring Cassidy Findley and another involving backstories for your favorite characters. Johnson will also produce several new historical romance novels and a new sweet contemporary Christian romance series as well. Melody's Christmas, Christmas Cocoa, Winter Woods, Waiting on Love, and Shamrock Hearts are all available. Her first non-fiction book, The Journey to Normal: Our Family's Life With Autism, is a true story of how the author's daughter has overcome the constraints of autism and has grown into a bubbly, bright, highly verbal ten-year-old. Johnson published her first book in 2014, Deck of Cards, a medieval romance with lots of twists and turns. This debut was followed closely by the epic Civil War novel Cordia's Will. Both can be purchased at Amazon in ebook and paperback formats. Recently, Johnson embarked on The Clandestine Saga books, five of which, Transformation, Resurrection, Repercussion, Absolution, and Illumination are available on Amazon. If you like paranormal with a touch of romance, you'll love reading about vampire hunter Cadence and the Guardians who protect humans from rogue vampires. If you like interesting and unexpected, check out The Doll Maker's Daughter at Christmas, a unique look at dyslexia at the turn of the twentieth century. 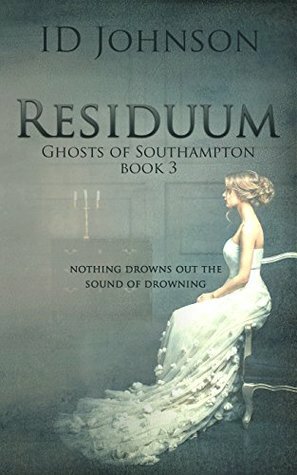 Johnson also takes us back in time to the Edwardian period and the fateful voyage of the Titanic in Ghosts of Southampton. 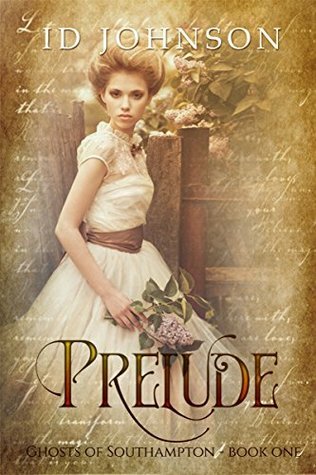 The prequel, Prelude, is also available as well as the final book, Residuum. Not all stories have the happiest of endings. If you like a touch of melancholy and mystery, you'll want to check out the romantic suspense novel Beneath the Inconstant Moon, set in Victorian Baltimore. Ginny doesn't know where she is, who these people are, or why they insist on calling her Mrs. Edwards. Where is her husband Spencer Hayes?